One level of communication often remains in the shadows in the relationship between brands and customers: transactional SMSs, considered exclusively operational (or “bureaucratic”) because they are closely linked to customer behaviors and actions. This potential is only possible thanks to the SMS channel’s unique features: speed and immediacy, able to guarantee opening rates exceeding 98%, in 90% of cases within three minutes of reception (Dynmark). In this blog post, we explain what transactional SMSs are and how to optimize their use. Transactional messages are characterized by the presence of unique fields related to each customer’s specific behaviors, such as the confirmation of a purchase or an appointment reminder. 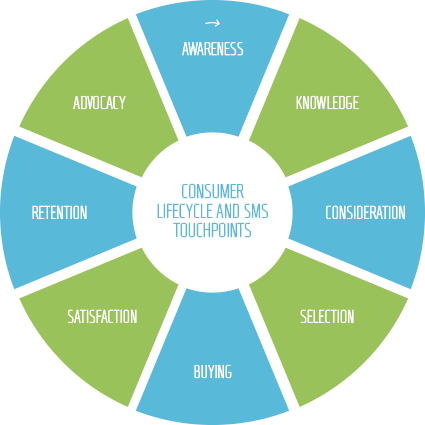 Unlike promotional SMSs (product launches, flash sales, up-selling, cross-selling or remarketing activities), transactional SMSs mainly serve an informative role, as a complement to an action, accompanying the customer along the touch points at the heart of the customer journey: from website registration to a purchase, up to the after-sales phases. to implement so-called business “bricks-and-clicks”, that is, the type of sales activities that call for orders to be made online or in a store, with in-store pickup. This is fundamental in the “click-and-collect” system for letting the customer know that the goods have reached the store and are ready to be picked up, avoiding the risk of customers leaving the store empty handed and saving them time and energy. With transactional messages, timing is everything. The SMS must be delivered in real time, as an immediate consequence to an action or upon customer request. Instant and correct management of transactional messages is decisive in the creation of a relationship of trust and loyalty. Just like with delivery, real time availability of statistical data on campaign trends is also critical for measuring performance and, if necessary, introducing corrective actions in a timely way. In addition to relevant content, always take great care in how you communicate, avoiding SMSs that seem to be generated by a computer. There is nothing more repelling than a careless post. Adding a human touch to your 160 characters is essential, giving it a conversational and direct tone, as spontaneous and natural as possible: be clear, avoid marketing or corporate jargon, abbreviations, slang and technicalities. With MailUp, you can edit each enter sender field and replace the phone number with your name or company (or both), in full compliance with AGCOM legislation (Italian Communications Guarantee Authority). This trick makes the sender instantly recognizable, gives an additional human touch to the campaign, and adds transparency to your brand’s image. Do you have questions? Would you like to tell us how you use transactional messages? Leave your comment below.